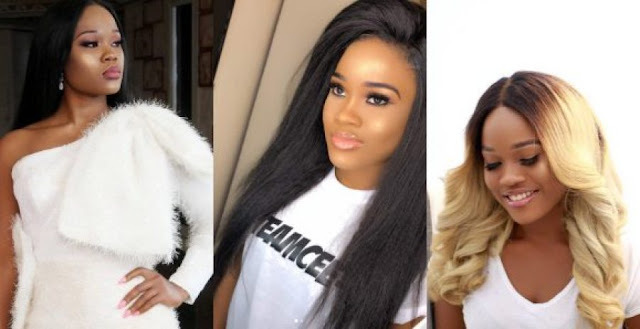 Cynthia Nwadiora,who is known also as Cee-C, was recently interviewed in Cliff Hanger show by Elozonam during which she spoke about her most embarrassing day of her in the Big Brother Naija 2018 reality show which was held in South Africa. She was first-runner up of the TV show, she discussed many issues ranging from the drama in the house, endorsement deals, embarrassing day of her life, hates and likes, relationship status and her plans for the future. barged into her private space.She referred to that as the most embarrassing day of her life. “I think it (most embarrassing moment in my life) has to be the day that I wore a jumpsuit and wanted to pee and in trying to zip down and taking off the entire outfit just to pee, someone just came into the house and I was like okay I’m n*ked” she said amidst loud laughter. Meanwhile,the BB Naija 2018 participant refused to mention the identity of the person when quizzed further.The 26-year old lawyer later gave explanations in the rest of the interview, she stressed that she is still single and not interested in dating anyone for now. She also spoke on how she missed Big Brother’s voice but she is not interested in participating in the show again except if she is paid to do so. being the winner of the show she also revealed that she left the show with nothing.